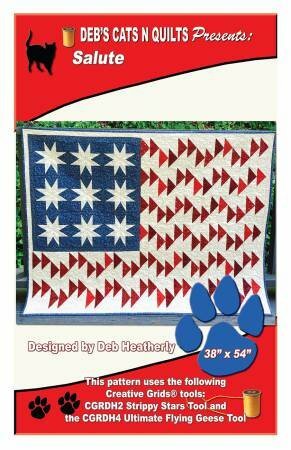 Salute is a patriotic quilt with flying geese and stars. This pattern uses Creative Grids CGRDH2 Strippy Stars Tool and CGRDH4 Ultimate Flying Geese Tool. Finished size: 38in x 54in.